Get back to guarding the galaxy with this Guardians of the Galaxy Vol. 2 - Rocket Deluxe Children's Costume. Includes a padded Jumpsuit with fake fur, Tail, Shoe Covers and Mask. Enjoy different colored aliens with their hilarious comedy and creative gadgets with Guardians of the Galaxy characters. Guardians of the Galaxy might be little aggressive but they keep saying cute things to each other. 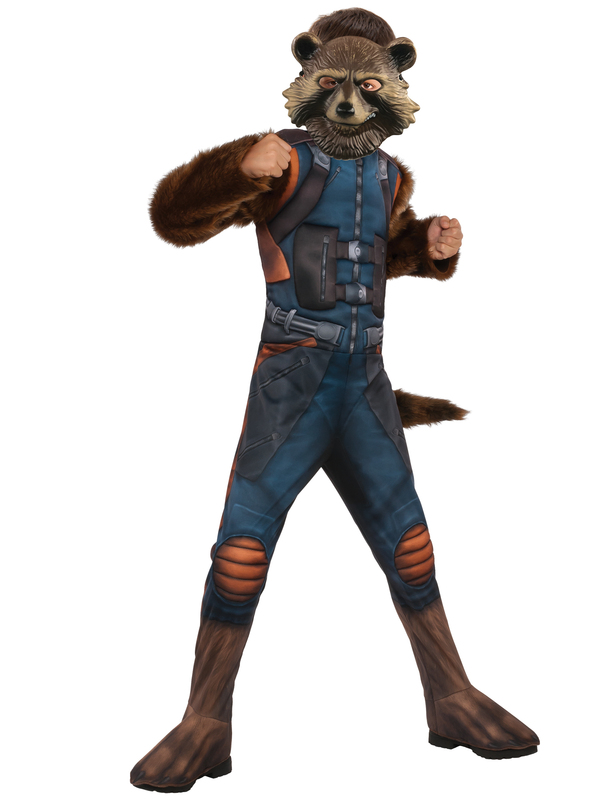 Guardians of the Galaxy characters are new to Marvel world but they definitely got our attention so why not dress up like theme and make them more popular. You can’t thing of any boring theme outfit if you are shopping for your boy. Boys always look for adventures in party outfits as well. Make your special moments amazing in Guardians of the Galaxy Vol. 2 - Rocket Deluxe Children's costume and capture yourself in camera to make it forever.